The FreeSync 2 evolution from AMD has been a game changer. Especially for the gamers out there. The concept was announced back in 2017 during the CES 2017. However, the actual development of the technology and the products based on it has been visible only since the last few months. In fact, FreeSync monitors alone will not be enough to bring forth all the benefits associated with the FreeSync 2 technology. It also needs a capable and supported graphics controller. That is precisely why we set out to list the best FreeSync 2 graphics cards that support the new adaptive refresh technology. We have been focussing on the graphics cards with the 144 Hz refresh rate. If you are playing a game that is heavy on resources, you will need to have access to a graphics controller that maintains tear free performance and eliminates the stuttering effects. Of course, you monitor needs to have a variable refresh rate and supports the LFC requirements, but it cannot handle it alone, without the active support of a capable graphics card. FreeSync is all about providing variable refresh rate for the monitors, and graphics controllers. Your game will not skip frames or experience tearing or stuttering effects when your game jumps the refresh rates. 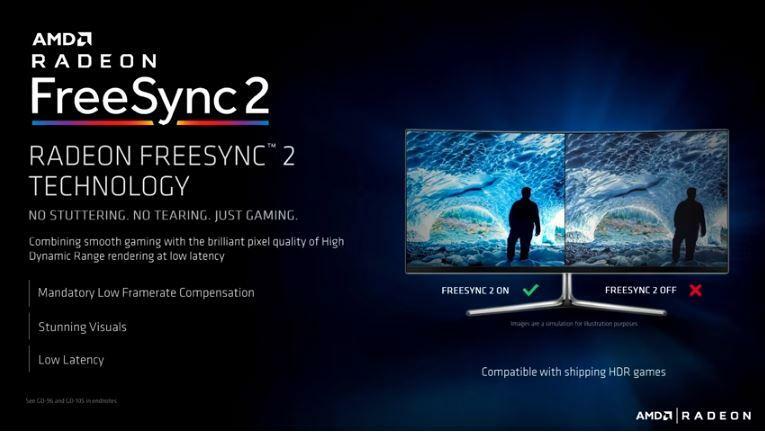 The FreeSync 2 is what would add another layer of additional premium features. FreeSync is not an upgrade to FreeSync. It is just an add-on that improves the functionality of FreeSync compatible devices a little ahead. The significant differentiators that FreeSync 2 adds includes are High Dynamic Range performance, Latency, and low frame rate compensation. 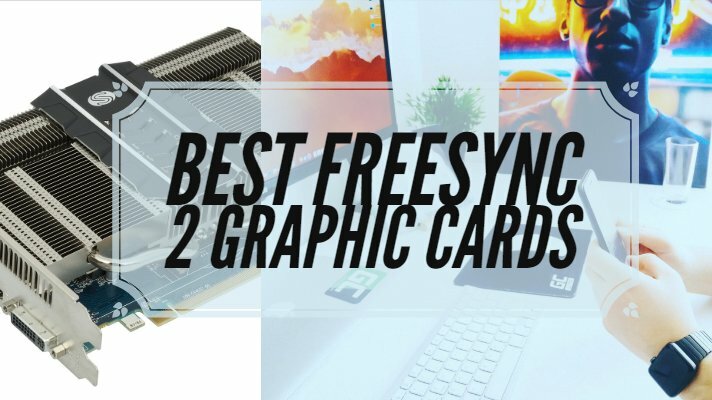 With that background knowledge, let us foray into the best graphics cards with support for FreeSync 2. Please note that almost all graphics cards that support FreeSync also support FreeSync 2 features. Of course, they need to be hooked up to a FreeSync 2 capable monitor for the efficiency. The AMD Radeon RX 550 one of the prime and best entry-level options among the best FreeSync 2 enabled graphics cards. With a base clock speed of 1100 MHz and memory capacity of 7000 MHz, it can be one of the excellent choices if you have a FreeSync monitor. 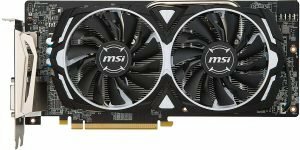 Are you looking for a cost-effective graphics cards for your needs? Then, the AMD Radeon RX 570 should be an ideal choice for you. The AMD 5xx series does support CrossFire technology. An excellent choice for 1080p/4K gaming and quite stable at that. You have access to 60+ FPS and high/ultra picture settings. It will support AMD CrossFire if your game supports it. A boost clock speed of 1310 MHz and core clock speed of 1168 MHz. A full range of designs at your disposal. 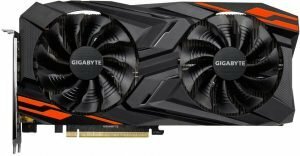 Even though the card is best for 1080p gaming but can be an issue concerning higher resolutions, it can be a power hog if you are using it in an overclock mode. The Vega Series of AMD Radeon graphics cards are a strong competitor to the high-end GPUs coming from NVidia. However, the performance and pricing have given rise to speculations. It is one of the best options for a FreeSync 2 enabled monitors. It can be your best companion for your high-resolution FreeSync monitors. The core clock speed of 1156 MHz and a boost clock speed of 1471 MHz. It works excellent with FreeSync monitors but appears to be a little heavy on power usage. An excellent high-performance Graphics controller offers you a higher bandwidth regarding memory. It uses HBM2 memory technology, thereby making it one of the best options for your needs in high-end gaming. It performs excellently in resource-hungry games. Buying it with a FreeSync enabled monitor will help you save money. The recommended power is 750 Watts making it a little power hungry. The graphics card can play the latest versions of the games with highest settings in Full HD resolution. 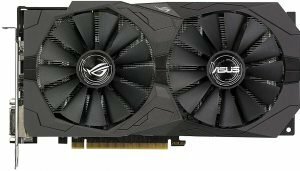 If you are looking for the cost-effective options for the best FreeSync 2 enabled graphics cards, the AMD Radeon RX 580 should be your best option. Excellent value for money option. A base clock speed of 1366 MHz and a boost clock speed of 1386 MHz. 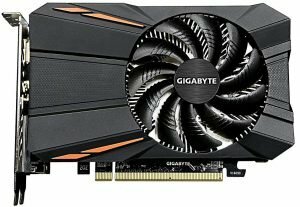 The graphics card can be your best option for full HD performance, but it has been found to be a power hog in most aspects. Gaming has been taking over all other tasks that we have been working with while on a PC. The graphics cards we have featured above should fulfill most of your needs in making your gaming an enriching experience. We assume we have helped you in choosing the best graphics cards if you are looking for FreeSync 2 compatibility. In fact, it should be understood that you need to invest in an equally capable monitor for the best experience regarding stutter-free gaming.